A giant snake pendulum that will be on display in front of Phillips Hall for Arts Everywhere Day April 7 is a perfect mashup of art and science. The 8-by-11-foot kinetic sculpture is the brainchild of mathematics department chair Rich McLaughlin and physics and astronomy department chair Christian lliadis in the College of Arts & Sciences. The weights at the end of the pendula are 6-pound Carolina blue shotputs. “The motion they make together is the artistic part, but underlying that, it’s all science,” Iliadis said. “It’s gravity, tension, energy, linear momentum, air drag, friction. You see symmetry, but where is the symmetry coming from? It’s all equations.”When the 17 pendula of different lengths are released simultaneously, they create an undulating pattern that looks like a slithering snake. The pendula then disengage and swing in separate patterns before coming together again in a large wave. The cycle — which is hypnotic to watch — takes about a minute. The faculty members had the idea to scale up a small tabletop snake pendulum (with Carolina golf balls as weights) that sits on McLaughlin’s office desk. He has used that smaller version for several years in his Chancellor’s Science Scholars Summer Bridge class. On a recent Friday afternoon in the physics and astronomy shop on the first floor of Phillips Hall, Francesca Bernardi, a Ph.D. candidate in mathematics, and Dan Harris, a postdoctoral fellow in mathematics, worked to tune the pendulum. They used a metronome to help coordinate the release of the pendula, and iPhone and iPad cameras to examine the video of the wave movement frame-by-frame and make the proper adjustments. They drafted the plan several weeks ago, and shop manager Phil Thompson built the pendulum. Funds from Arts Everywhere supported the project. Combining art and science has been a focus of his research throughout his graduate career, Harris said. “Anyone who walks by and sees the pendulum will be intrigued by it, and that opens a door to a conversation about what makes it work — how changing the length of the pendula changes the frequency, for instance,” he said. Bernardi agreed, and recounted an experience using the 3-D printer in the Hanes Art Center makerspace recently that led to a conversation about art and science. “One of the people who worked there asked me details about our experiment. Art can be a way to make science more accessible to everyone,” she said. One of the components of Carolina’s new “Creating Scientists” Quality Enhancement Plan focuses on integrating the arts and humanities with science courses to provide critical thinking skills and an understanding of the myriad ways in which science and culture are intertwined. Duane Deardorff, director of undergraduate laboratories in physics and astronomy, said faculty members in the department uses all kinds of visual elements as teaching tools. Story by Kim Spurr, photos by Kristen Chavez, College of Arts & Sciences; video courtesy of department of mathematics The snake pendulum will also make an appearance at Phillips Hall at the UNC Science Expo on April 22. Has advocated for postdoctoral scholars. Has been accessible and provided open lines of communication to postdoctoral scholars. Has created a supportive environment for research; has shown respect for the postdoctoral scholars’ goals, and assisted them in fulfilling those goals. Has provided guidance in research career and assisting the postdoctoral scholars in building a professional network through generous sharing of contacts. Has demonstrated a sustained commitment to creating a productive working environment that enhances the overall postdoctoral experience. The recipients are welcome to join us for the National Postdoctoral Appreciation Week luncheon on Friday, September 23, 2016 at noon, in the lobby of the FedEx Global Education Center. Each recipient will be presented with a plaque in recognition of being selected as an outstanding mentor during our Annual Postdoctoral Awards for Research Excellence in November. The article below is posted on the UNC College of Arts & Sciences website. 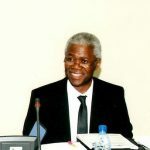 UNC mathematics professor Idris Assani has been a consultant on Science, Technology, Engineering and Mathematics (STEM) projects in Africa for the World Bank since 2013. He will travel to Benin (his home country), Cameroon and Burkina Faso in November to check on the progress of the Africa Centres of Excellence, a project led by the World Bank in partnership with the Association of African Universities. The centers partner with existing universities to strengthen their capacity to deliver high quality training and applied research and to encourage students to pursue STEM degrees. 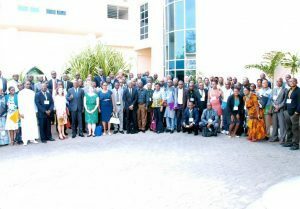 There are about 40 centers throughout Africa, with World Bank funding for the project set to end in 2018. Assani said one of the reasons he was attracted to the project was its emphasis on results and sustainability. He came to UNC’s College of Arts and Sciences in 1988, after completing two years as a postdoctoral fellow in the department of mathematics at the University of Toronto in Canada. In 1986, he completed his “Doctorate es Sciences” at the University of Paris 6 in France. In 2012, he became an inaugural fellow of the American Mathematical Societyand also served on its selection committee that year. Assani strongly believes that the mathematics department should be involved in global outreach. He brought two students from Ghana to UNC who graduated with master’s degrees between 2008 and 2011. He also organizes the Ergodic Theory Workshop every year since 2002 with continuous National Science Foundation support, and invites many scholars from all over the world, including Africa and Latin America. While mathematics might seem to be an abstract concept, he believes that the skills developed in training can be crucial in addressing complex problems. “The analytical mindset can help you get significant results and structure solutions, and that’s what most of these countries need,” Assani said. Read more about the African Centres of Excellence. Mathematics Professor, Nancy Rodriguez was featured in the Women in Science Wednesday series, produced weekly by UNC Research. July 20, 2016, the University Gazette did an article on Nancy as she discusses Women in Mathematics. We would like to congratulate Skyler Cranmer, Elizabeth Menninga, and Peter Mucha on their receipt of the *Political Ties Award* for their article, “Kantian fractionalization predicts the conflict propensity of the international system,” published in the Proceedings of the National Academy of Sciences (Vol. 112, No. 38) last fall. The Political Ties Award is given by the Political Networks section of the American Political Science Association (APSA) for the best article published on political networks the prior year. This award will be officially awarded at the PolNet Business Meeting at APSA, on Thursday, September 1, 2016. We regret to announce the passing of Joe Burton Linker, Jr., a long time, strong supporter of UNC Mathematics. Joe Burton Linker Jr., 92, born in Durham NC, raised in Chapel Hill NC. He passed away on 7/21/2016. He was a resident of Carol Woods Retirement Community to which he came after having been away from Chapel Hill for 47 years. He was the son of math Professor Dr. Joe Burton Linker and Ione Markham Linker. In 1944 he graduated from UNC-CH with a BS in Physics, then was immediately commissioned Ensign USNR receiving technical radar training at Harvard and MIT and was assigned pacific sea duty as radar officer on the naval cruiser as World War II came to an end. Returning to graduate school after active duty he was an Instructor in UNC’s Department of Mathematics as he took graduate physics courses pending entering NC State Engineering School. In 1949 he completed his MS in Electrical Engineering degree and began his technical career at General Electric’s Electronics Laboratory in Syracuse NY. He was honored to be made of member of Eta Kappa Nu, a member of Sigma Xi, and later, a Senior Member of IEEE. He was soon licensed as a professional Engineer in New York. He was a graduate of General Electric’s high recognized 3-year graduate Advanced Engineering “ABC” Course. In lieu of flowers please consider a donation to the J. Burton Linker Distinguished Professorship in Mathematics (100550) at UNC-Chapel Hill, with checks payable to the Arts and Sciences Foundation, Campus Box 6115, Chapel Hill, NC 27599-6115, or at http://giving.unc.edu/gift/asf. Professor Jane Hawkins gave an invited lecture as part of the Jennifer Mills Lecture Series in Dewing Hall at Kalamazoo College in Michigan. Her public talk was on Monday, April 4 at 8:00 pm and was titiled: Mathematical Modeling of Viral Dynamics from AIDS to Zika. During her visit there Dr. Hawkins also gave a talk to undergrad students entitled: Simplifying the Complex through Coding, Symbolic Dynamics, and Automata. Over two days Dr. Hawkins scheduled several meetings with small groups of undergrad women and visited an undergrad analysis class; at each meeting she talked about grad school preparation and various aspects of graduate training in the mathematical sciences.